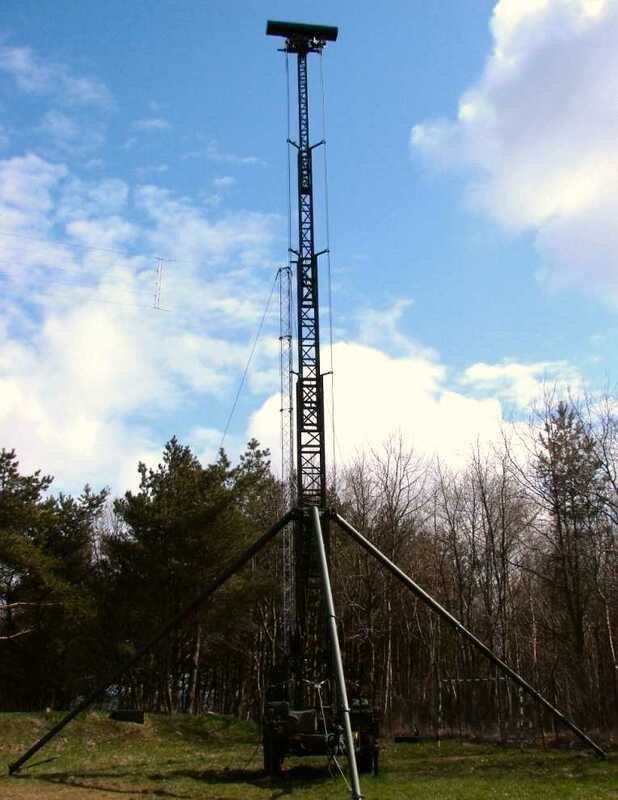 The Polish Elektronika RM-100 Mobile Radar is a maritime LPI-radar with an AIS receiver, a data-fusion system, and a data-transmission system. It detects and automatically tracks maritime surface targets and determines their coordinates. Its recommended applications include littoral waters monitoring and economic zone protection. The RM-100 uses FMCW technology and operates with output power from 1 mW to 2 W. The transmitter covers a frequency range of 54 MHz, the bandwidth of the receiver is 4 MHz. The detection performance is comparable to that of conventional navigational pulse radar radiating up to 25 kW peak power. The system includes a mobile radar post which features a land navigation system and a communication system enabling operating within automated Naval Command and Control System. 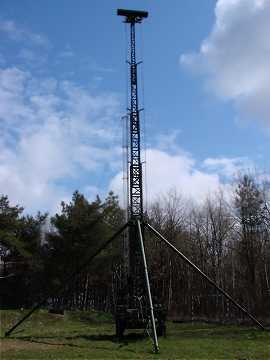 The antenna array is mounted atop a 20-meter mast.